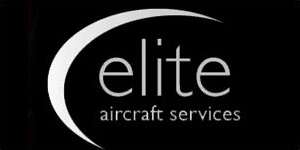 At Elite Aircraft Services, the customer always come first, and we do whatever it takes to exceed expectations. A lot of companies say that, but ask our clients—we live it. We screen carefully and only hire people that “get it.” Our clients trust us with their families, businesses and lives. That demands that we demonstrate the highest standards and ethics in all that we do. We’re looking for people for whom flying is more than a job—it’s a passion. Everyone on our team is here because we love what we do. If we were in a movie, George Clooney would play us—understated, confident, successful (with just a bit of bad-boy attitude thrown in for fun). There is no “typical” day at Elite. What you’ll find instead are opportunities to succeed. Challenges in need of fast-thinking solutions. Interesting people and varied travel. If that sounds like something that gets your motor running, we’d love to hear from you. As a member of the Elite Aircraft Services family, you’re more than just an employee. We provide a supportive learning environment where every member of our team is handed the tools for a lasting career in Aviation. We pride ourselves on providing the utmost in customer service, to our customers and our employees. When you work with Elite Aircraft Services, you work with best. MORE THAN A JOB. THIS IS A LIFESTYLE. We’re looking for high-time pilots and instructors who understand the lifestyle and personalities of our clients. You’ll need to be responsive and flexible, ready to go at a moment’s notice. With a combined total of over 17,000 hours in the Cirrus platform and over 64,000 hours total time, our staff of flight instructors are some of the highest qualified in their field. A Platinum Cirrus Training Center puts us in the top percentage of all training centers specializing in this aircraft platform. All of our instructors carry the CSIP distinction as part of a Platinum Training Center and are required to meet a high standard of continuing education and proficiency. FLY WITH AND FOR THE BEST. BE AN Elite Aircraft Services PILOT.